It always seems like a long time from when we return after Christmas to when we break up in February, but we have packed so much into the past few weeks that it’s come around really quickly, and a well-deserved rest is on the cards. You’ll have seen from our blog posts and news items just how busy we’ve been and how much we’ve achieved. Swept along by the positive message of the GDST rebrand, we’re currently basking in the ‘family feel’ of our school. Our parental seminars are really working well. Sharing our knowledge and the expertise that we have at our disposal, with our parent body, is really important to us. 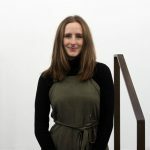 We’ve had visits from several alumnae in various capacities, and we always value their continued support of the school, particularly when they come to inspire our current girls with their career stories. Reunion events are on the up and I look forward to going to London at the beginning of March to meet up with alumnae in our capital city for the first time. Charity events and music and drama productions continue to impress me. The Year 12 Taskmaster event was so well thought out and such tremendous fun, and the production of The Ash Girl was amazing; so inventive and really making the best use of our performing arts centre. Now we’ve reached our February break, and it seems fitting to have concluded this half-term in the way that we have – with an amazing day spent marking the centenary of women’s suffrage. 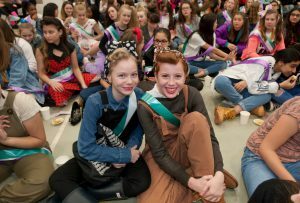 The day of themed lessons was a real success and an eye-opener for many girls, highlighting the fact that issues of women’s rights and equality span every area of the curriculum in one way or another. It was wonderful to see the girls (and staff) dressed up in fashion from the past ten decades, and even better knowing that the money raised on this day has gone to Nottingham Central Women’s Aid and the amazing work they do to help support women and children escaping domestic abuse. 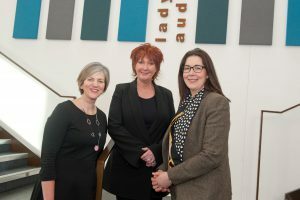 I’d also like to thank our friends from the National Council of Young Women, and our keynote speakers Lilian Greenwood MP, Nora Senior CBE and Elizabeth McKenna, who you may recognise from The Apprentice. They all attended our event in The Space which included workshops and discussions on Women in Power, Women in Business and Overcoming Misogyny. It was a fascinating and informative event and the overall message to our girls was to be confident and not be afraid to recognise and use your power to get to where you want to be in the world. 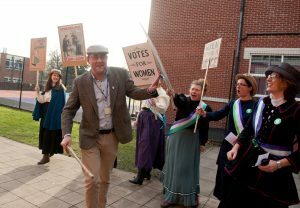 Our special day ended with a suffragette rally and debate in the Sports Hall attended by all girls and staff. We even recreated a debate from our school archives dating back to 1899 pitching ‘Blue Stocking’ girls against ‘Society’ girls. The whole day was really uplifting and educational and has ended the half-term on a real high. So I hope you all have an enjoyable break, and I look forward to sharing lots more news with you when we return.